Check out this week’s find in the iTune App Store in App of the Week! Summer is sadly coming to an end and most of us are starting to pull out our school supplies to head back to college, but with the apps that I found you might save yourself a little money on notebooks and pens. Don’t fret you’ll still be able to get those lecture notes organized, write flawless papers, put together spectacular spreadsheets and seamless PowerPoints. 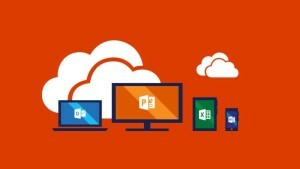 Microsoft Office has brought the computer programs we know and love into app form for iPad users. A lot of us have converted to iPads because of their versatility, convenience and ability to use apps so why not use them to help out with your school work? What you might not know as that a lot of universities have already purchased subscriptions for these apps for their students. How it works: You can search “Microsoft” in the app store and find Microsoft Word, PowerPoint, Excel, One Note, Outlook and Remote Desktop and download the app of your choosing. The app is compatible with iPads, iPhones and iPhone touches. (Disclaimer: I am not an android user so I cannot say if the apps are compatible with android devices) From there the app will prompt you to create an account using your schools’ “edu” email address and from there you are ready to ace your classes. All of your documents will be saved to your school’s drive and you can even set them up to be backed up on your storage cloud. Create spreadsheets in “Excel”, organize your notes by subject in “One Note”, write papers using “Word” and put together brilliant presentations using “PowerPoint.” Since I have downloaded these apps I have been able to stay better organized and notebooks and pens are a thing of the past. I can honestly say I love these apps and will continue to use them for as long as I am in school.